Phil Dyess-Nugent: “Fortune And Men’s Weight”—love that title—is a strange and oddly beautiful episode. (Noel Murray has already discussed it at length in his Very Special Episode column.) Both the strangeness and the beauty come from its element of stealth and surprise. I don’t know how you could guess, from its opening moments, where it’s going to end up, and the ending comes with a stinger in its tail. It begins with the arrival of a delivery guy with a huge crate that looks as if it ought to have “ACME” stamped on the side. It contains a new toy that Coach, under the spell of some mysterious, unseen hustler, ordered for the bar: an old-fashioned scale, the kind that tells you your weight and spits out a printed fortune. (Coach’s attempt to describe the salesman, and why it seemed like a good idea to do business with him, is a classic tour of Coach’s mental processes.) Naturally, the barflies all start hopping on it so they can laugh at the silly fortunes. But some of them seem to be coming true: Norm, whose fortune tells him that he’ll soon have a solution to his worst problem, goes out on a blind date and discovers that he’s been set up with his estranged wife, Vera, and the two of them hit it off fantastically. And when it’s not completely obvious that the machine has accurately predicted someone’s future, Carla, who adopts a role in relation to the machine similar to the one Dennis Hopper had in relation to Marlon Brando in Apocalypse Now, extrapolates like mad to explain how a correct prediction is, in fact, the case. After everyone else has left, we get one of those long, one-on-one conversations between Sam and Diane that have the flavor of filmed theater. Feeling prodded by the fortune, she tells Sam that she went to the art show with “another man.” Sam has difficulty processing this. His first words are, “You mean like a guy?” Then, after trying to convince himself that this doesn’t mean anything, because any loser who’d go to an art show with a platonic woman friend must be no threat to him, he tells Diane that, since neither of them is capable of satisfying all of the other’s needs, maybe they should face facts and split up. His attempts to be mature about the whole thing are somewhat undercut by the “You can’t fire me, I quit!” tone of the whole exchange. I wonder if everyone else here finds the final moments of this episode as affecting as I do, especially for the way Shelley Long conveys the tension between Diane’s need to assert her independence and her fear of letting the relationship die. Neither of the two wants it to die, but it seems clear that, at the fade-out, neither of them really has enough confidence in it to keep it alive. But the conceit of the scale also allows the show to have its characters take active stock in elements that have been brewing (pun intended) under the surface for a while. It’s enjoyable to spend time with these characters, but just as sitcoms can occasionally get in a rut playing the same notes over and over again, so can these characters feel as if they are running in place, complaining about the same problems without actually doing anything about it. The “man of science, man of faith” debate invoked Lost to me upon watching it, but I was definitely more interested in the way people used the scale to face up to certain inadequacies they themselves seemed unwilling to face. Progress is not always in the cards for these characters, but change certainly is, whether or not they want to face it. And while change works out in Norm’s favor, it certainly seems to be a harbinger of bad things to come for Sam and Diane. I’ve noted over the last few episodes how the show has dialed back the couple’s fighting. Well, it now feels like a way to lull the pair and the audience into a false sense of security, one that can be instantly undone by a simple message from a potentially mystic machine. Donna Bowman: Ratchet sound… ding! That’s the secret of “Fortune and Men’s Weight” to me. As Carla talks to Cliff in the front of the bar, as Diane agonizes over her all-too-accurate fortune, in the background we keep hearing: ratchet sound… ding! Like the buzzer on NewsRadio’s iconic “Complaint Box,” it’s the constant reminder that the action continues off-camera, and that the resulting complications in people’s lives keep twisting. I love how this monkey’s-paw-esque artifact tosses a giant wrench into the works for Diane and Sam. Indeed, “It’s a sad world we live in when Sam Malone becomes the voice of reason,” as Sam says while assuming Diane’s rightful place. And Carla’s conviction that “there are things in this world that you eggheads can’t explain away” proves true, not because the machine is magic, but because the incommensurate ideals of honesty and fidelity that Sam and Diane profess and act upon defy reasonable synthesis. Todd VanDerWerff: One thing this episode captures that TV has rarely captured so well is the way that a relationship-ending fight can arrive from seemingly out of nowhere, derailing what was originally going to be a pleasant few hours spent together. Anybody who’s been in a relationship long enough will hopefully know what I speak of. What I like is that “Fortune” captures all possible angles of this: Sam and Diane seem to break up, and then they don’t. The depth of feeling between them is simply too deep for them to actually pull the trigger, even though it seemed an inevitability just a few moments ago. This is true to life again. The fight will pop up out of nowhere, and it will seem as if all is lost, and then, there will be this beacon of hope that, dammit, you really dowant to be with this person, so you’ll figure it out. There are other fights between these two coming, but I don’t know that I’ve seen any that unsettled me as much as the one in this episode did, simply by reminding me of moments from my own life. And it doesn’t hurt that the whole thing’s in such a hilarious half-hour to begin with. Meredith Blake: Don’t you guys just hate it when you’re dating someone you like, and then it gets ruined by a fortune-telling machine? But seriously, what amazes me about this episode is just how well it works, despite its blatantly hokey premise. Part of what makes it so successful, I think, is how the machine transforms so gradually. At first it’s merely an object of amusement, a big ol’, cartoonish reminder of Coach’s addled brain—but, almost imperceptibly, it becomes an object of menace. As Donna points out, that ever-present, slightly otherworldly sound effect is incredibly effective in this regard—hats off to the show’s sound department—but the writing here is also as strong as it’s ever been: funny, nuanced, and emotionally grounded. What the machine does is bring everyone’s barely sublimated insecurities to the surface, and soon enough a sense of unease permeates the whole bar. So, in the third act, when the focus turns to Sam and Diane’s problematic relationship, it’s less of a surprise than it might have been. What a wonderful shapeshifter of an episode. Erik Adams: And how very Sam-and-Diane is that fight? There’s a lot of power-playing in the next episode, but “Fortune And Men’s Weight” condenses all the upperhand-exchanging in “Snow Job” into a single line: “We’re not through until I say we’re through.” The fight would be so much typical sitcom bickering were it not for two things: Danson and Long’s performances and the raw emotions underlining the scene. Long had me fooled me and Sam with those tears she conjures after “Please don’t joke about this”; Danson, meanwhile, proves that Sam’s index finger is the single most intimidating digit in all of television comedy. And then there’s that ending, where the characters’ reluctance to approach the machine—which spits out one final card after Sam kicks it like some enraged, Nega-Fonzie, —perfectly mirrors their inability to admit that their romance is pretty much over between them. “Wonderful” is right, Meredith. RM: In the history of one-word lines getting laughs, the random bar denizen shouting “Sinatra!” over and over again has to be up there. I had to stop the episode to catch my breath each time he said it. TV: Donna points out how the use of sound effects keeps the story humming along even when we can’t see that scale, but there are some pretty cheap sound effects that work perfectly here, too, thanks to Rhea Perlman’s attempts to ward off the scale’s bad juju by spitting at it. TV: This episode continues my general enjoyment of the scripts of Heide Perlman. I had forgotten just how many of my favorites gave her credit for the script. TV: Remember: If you see a man who looks a little like Lincoln and a little like Hitler, beware. It’s a very funny episode, and I wouldn’t call the last moments downbeat, but it sums up a stage in Sam and Diane’s relationship where most of their energy and imagination goes into trying to outmaneuver each other in competitive mind games and power plays. With just a couple of episodes left to go before the two-part season finale, the lovers are on the edge, poised to go into free fall. RM: See, I came away from this episode feeling like it was shuffled around in terms of its airdate. I understand how you can draw the line between the last episode and this one, Phil, but at the same time, the Sam/Diane dynamic at work here feels much more like the start of the season than the end of it. The only thing that truly separates it from those early episodes lies in the tone between the pair: The couple would turn the volume up to 11 during their fights in the nascent stages, but here there’s a slow burn that ends with Sam eventually losing his top. Perhaps trying to connect the dots this closely is a fool’s errand, one born from a modern tendency to overanalyze episodes past the point they can possibly sustain. But the ominous ending of “Fortune And Men’s Weight” doesn’t tie into Sam’s sneaky actions in this episode, which lets us see the puppeteers working the marionettes more than usual. Were this extended cat-and-mouse game fall-down funny, maybe it wouldn’t be so obvious. But with our central pair acting so unlike themselves, it’s hard to suspend disbelief in this instance. Noel Murray: It’s fascinating how both of these episodes choose to leave the tension between Sam and Diane just hanging in the air when the closing credits roll. That runs counter to the standard knock against sitcoms: that everything wraps up neatly in 22 minutes, usually with a hug and a laugh and a freeze-frame. But given where the Sam and Diane story is headed, that would ring false. Kudos to the writers for recognizing that. To me, ”Snow Job” is also notable for its comic timing. 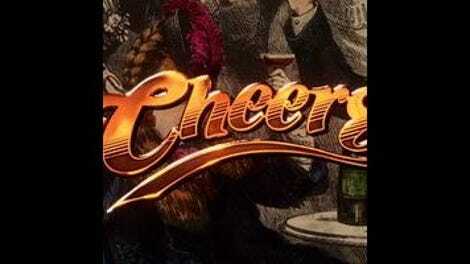 The previous episode is much rawer, relying on the sort of open-ended arguing that ends so many Cheers episodes. This one is all farce, with Sam walking through doors right when Diane says he will and the two of them trading ever-more-passive-aggressive lies. That’s why I agree with Ryan that ”Snow Job” should have aired before ”Fortune,” if only to show the progression of the relationship’s deterioration, from forced joviality to outright anger. TV: I’m with Phil in preferring this one coming after “Fortune,” as opposed to before it. It’s entirely possible the episode was shuffled, but I think this is a nice way to establish that the fight that’s been playing out since the season’s earliest episodes now has some real teeth to it. Obviously, I’ve seen the show before. I know this isn’t going to be the thing that breaks these two up. But there’s a better sense of the stakes involved with Diane acting as though, hey, honesty is the best policy and all, so why not trust Sam to do the right thing? Where before the bits where Sam can’t seem to leave the state would have been mildly amusing, here, they really do seem as if Diane’s gotten up inside of his head and messed with his circuitry. TV characters aren’t supposed to change. That was the beef against the medium for decades. But in this episode, we see a possible version of Sam that could change, but also the primal Sam that’s rebelling against such a thing. Sam can either evolve, or he can go back to his old ways. That’s the choice facing the character in the final four episodes of the season, and it’s presented very starkly here. DB: I really loved the Sam-Diane-Carla dynamic as the conflict between Sam and his conscience escalates. Diane’s icy calm and Carla’s incredulity create fantastic tension every time Sam comes bursting back through that door. And even though it’s only in the dialogue, the idea that Sam gets almost to his destination twice before having to return to Boston and settle whether he’s been busted gives the episode an almost rubber-band or spring-loaded energy. I picture him being so close, and then being unable to resist the snap-back pull. Carla can’t believe Diane can elicit that kind of guilt with nothing but passive-aggressive behavior, and so watching her stare in disbelief as Sam’s freedom is so easily vanquished adds another dimension of character to the action. Amazingly, Norm and Cliff's plotline is almost as good, and as nuanced. When Cliff tries to jump right into the buddy seat that Norm has vacated, proffering “I love a good burger” as Norm’s ersatz friend leaves the bar, it’s a sad and worldly moment; a story that we thought was about Cliff being abandoned turns out to be about jealousy instead. For two stories that we’ve seen variations on about a thousand times, these gain so much from the tiny twists, the specificity of the dialogue, and the way these characters react just a little differently from the standard models. EA: Since we’re all about timing this week: What struck me about both episodes is the marvelous sense of rhythm they have, and the devices the scripts use to keep the viewer in time with that rhythm. Donna and Ryan have touched on both, so please excuse my redundancy: “Fortune And Men’s Weight” has the sound of the scale, while “Snow Job” has Sam’s habit of appearing in the doorway just at the exact moments Diane foretells. (Given the themes of prognostication running through both episodes, there’s a sly comment about the predictability of the average sitcom at play here—though that’s reading too far into things.) “Snow Job” throws a little syncopation into the mix, having Carla taunt Diane before Sam returns that final time—a hesitation and delivery with the same, fundamental satisfaction found in the extra half beat between the thump of Clyde Stubblefield’s bass drum and the snap of his snare. Completing the overwrought analogy: At this point in the second season, the cast and crew of Cheers are so tight, they are to situation comedy what The J.B.’s were to soul music. (Making James Burrows, of course, James Brown, and his pan from the record-ruining shattered glass to the banana peel in Coach’s hand is Cheers’ equivalent of Brown counting into a mind-blowing bridge. RM: Last episode featured Cliff and Norm humming the theme to The Twilight Zone. Here? Cliff quotes Simon and Garfunkel’s “I Am A Rock.” I don’t remember this many pop-culture references while watching the show during its initial run. On the other hand, it’s more than likely that I simply didn’t know what the show was referring to. NM: When Diane drops the façade she’s using to bait Sam, she hisses, ”You slime!” at him. Note to screenwriters looking to set movies or TV shows in the early ’80s: You may think that using words like ”tubular” or ”grody” will establish the era, but try leaning more heavily on ”slime” and ”sleaze” and ”scumbag.” People were really big on that kind of oozy terminology back then, for some reason. I blame Michael O’Donoghue. TV: I really need to start using “head up my Clavin” in day-to-day life. It accomplishes so much! “Snow Job” ultimately turns into a Sam-and-Diane-centric affair (doesn’t every episode in this second season? ), but it’s nice to spend some time with the other denizens of the bar during Sam’s lengthy absence in the second act. His and Diane’s romance is the foundation of the show at this point, but Cheers’ strengths as an ensemble piece show through the way in which this half-hour hums along, even as its main character goes missing. Next week: Coach and Norm take center-stage in two episodes about the men’s pursuit of love and happiness.